The Internet was born in 1983 – the year that saw the adoption of TCP/IP, the communications protocol that defines the Internet to this day. 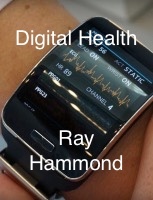 In the same year, Ray Hammond wrote The On-Line Handbook – the world’s first book to identify the coming importance of the Internet and to identify ‘search’ as the key driving force behind all future on-line advertising and digital commerce. It was published globally by Fontana Books in May 1984. Digital Business: Surviving and Thriving In An On-Line World was an instant success when it was first published by Hodder & Stoughton in 1996. The hardback shot to the top of UK best-seller lists and the book was immediately translated for Japanese and Chinese editions (both authorised and pirated). 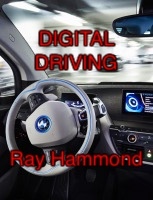 The book was a long-awaited follow-up to Ray Hammond’s 1984 volume, The On-Line Handbook, and it described how internet commerce had grown in the intervening twelve years, and how it was likely to grow in the future. “It is impossible to over-estimate how much the Net will alter life in the developed countries of the world. Every aspect of life will change for all but the most severely socially disadvantaged and within a decade, they too will start to feel its effect. Emergence is a futuristic thriller that explores the concept of the spontaneous emergence of strong artificial intelligence in the internet and connected networks. Set in 2036, the thesis of the novel is that consciousness arises automatically when sufficient processing and analytical power is inter-connected. The question is, how would humankind cope with a distributed intelligence orders of magnitude greater than human cognition? Published globally in hardback by Macmillan in 2001, a paperback edition was published in January 2002. The Cloud is a futuristic thriller set in 2050 which imagines how humanity might respond if firm contact were made with an alien life form. The title of the novel refers to the physical shape taken by the newly-identified alien entity as it rushes through space on a collision course with Earth. Forward 100 Logo and Your Child, A New Way of Learning was written as a follow-up to his best-selling, multi-language, multi-edition book Computers and Your Child. In the 1980’s, there was a strong feeling that children should be taught how to understand computers (rather than the other way around), and Forward 100 provides an historical insight into how this movement developed in the USA and the UK. The title words “Forward 100” refer to a common instruction in the LOGO computer language, which was popularised for educational use by the Massachusetts Institute of Technology. Published by Viking/Penguin in 1984. “It is the astonishing spread of personal computing power that is causing the greatest separation of the West from the Soviet bloc. The imbalance of nuclear arms is the usual factor considered in the context of the balance of power, but either the Soviet Union has not seen the computer revolution coming or, more likely, the rulers have realized that the spread of personal computing power will make their territory ungovernable in the traditional sense. Before personal computers became PCs, they were known as “Micros” and The Musician and The Micro became the world’s first book to explore how microcomputers were going to change how music was made, composed and recorded. The book also accurately predicted the pirating of digital recordings and the demise of payments for recorded music. 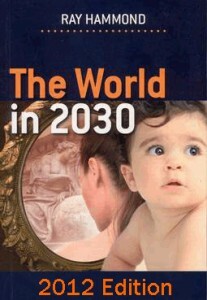 International best-sellerThe World In 2030 has been regularly updated and republished in multiple editions and it serves as an on-going vision of how our lives and our businesses are likely to change between today and 2030. Covering developments in energy, materials, medicine and digital technology, the book is serves as a primer for all those interested in the changes likely to occur as automation and A.I. disrupt our working lives. It was first published in multiple languages in April 2008 by Editions Yago. “The speed of technological development is accelerating exponentially and, for this reason, by the year 2030 it will seem as if a whole century’s worth of progress has taken place in the first three decades of the 21st century. The Modern Frankenstein – Fiction Becomes Fact was written in 1986 as a companion volume to Ray Hammond’s BBC TV drama, The True Story of Frankenstein and his BBC4 radio play, The Making of Frankenstein (both broadcast November 1986). Published by The Blandford Press, the book was an unusual mixture of futuristic thought (specifically about the future of human cloning and genetic modification) and a biography of Mary Shelly, the author of the original Gothic horror novel, Frankenstein. “We have become used to the word ‘computer’ and, indeed, have almost becomes blasé about clever machines. But there is a clear indication that these humble machines are the early manifestations of a new life form, one which is about to make an evolutionary leap. When this occurs it will offer the human race (itself a species undergoing transformation) vast benefits. Extinction is a futuristic thriller which explores how climate change may affect the planet 50 years into the future. Set in 2056, the novel’s story-line imagines that climate change has spiralled out of control and that the world’s rich nations are using geo-engineering techniques to manage their weather – at the cost of the poorest nations who are forced to suffer climate extremes. 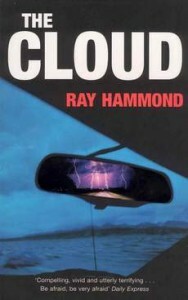 First published by Macmillan in 2005, a paperback edition was published in 2006. Computers and Your Child was the UK’s first book to analyse the role of computers in education, childhood cognitive development and pedagogic psychology. The book argued the need for a computer on every desk – and in every home. A concept considered revolutionary in the early 1980s. Published by Century in 1983, the book was an international bestseller and appeared in four separate editions that were translated into eleven languages. In the USA Ticknor & Fields published a specially researched and revised edition which became a No.1 bestseller in the American non-fiction charts. “By the time our children are adults, computers will control many aspects of daily life. Few tasks will be undertaken without their assistance, and little that is worthwhile in industry, commerce, leisure and even art will be achieved by us alone. The Writer and the Word Processor was the world’s first book to describe and explain word-processing for both professional and aspiring authors. The book featured interviews with Iris Murdoch, Fay Weldon, Kingsley Amis, Dorothy Dunnet, Frederick Forsyth, Tom Sharpe, Ralph Steadman and many other well-known writers. The master story-teller Len Deighton – a pioneer of word-processing since the 1960s – was generous enough to provide both an interview and a foreword. Published by Coronet in 1984. The speed of technological development is accelerating exponentially and, for this reason, by the year 2030 it will seem as if a whole century’s worth of progress has taken place in the first three decades of the 21st century. By 2030 it will appear as if a mass of dizzying scientific breakthroughs have suddenly been made simultaneously – in computing, in healthcare, in communications, in wealth generation, in materials performance (including smart plastics), in travel and in robotics. “In the future an increasing number of publications will be available in both electronic and printed forms.